The Rev. Jon Reynolds explains how Michigan Conference support of ministries in the Liberia Conference makes a difference for Jesus Christ. I knew from the moment I met Jefferson Knight that I had made a lifelong friend. Jefferson works in the Human Rights office of the Liberia Annual Conference. My wife and I have hosted Jefferson in our home several times and Jefferson hosted us when we went to Liberia. He has a vision to provide clean and safe drinking water for his entire country. Some people in Liberia walk miles everyday just so that they can have clean water to drink, cook and bathe in. 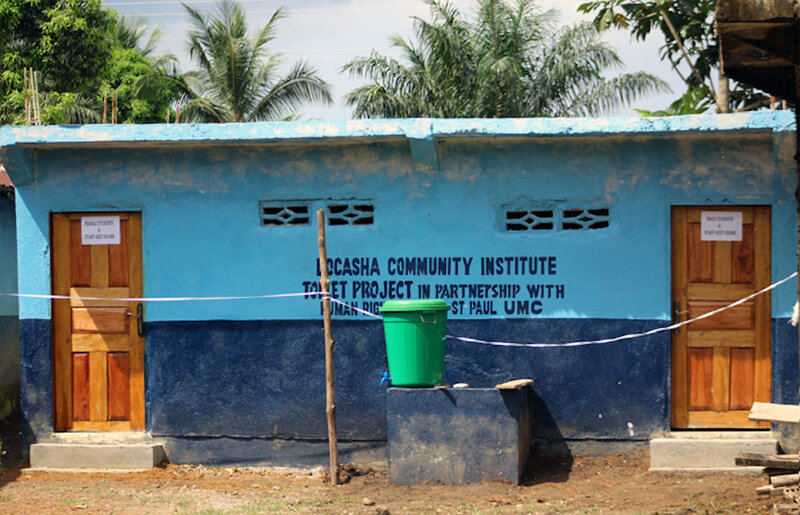 The Water for Life program in Liberia, started by Jefferson Knight has dug over 400 wells in Liberia providing water for thousands of people. It is because of my friendship with Jefferson and many others in Liberia that I continue to advocate for the covenant partnership that is shared between United Methodists in Michigan and Liberia. In the weeks following General Conference members of the Michigan Area Liberia Partnership Team began receiving some phone calls, texts and emails asking whether we should continue our covenant partnership with Liberia. I certainly understand why the question has come up given some of the strong statements of the support for the Traditional Plan that have come out of Liberia. I choose to continue to support mission work in Liberia because of Jefferson’s work which includes installing toilets in schools in Liberia. I think of his commitment to advocating for environmental justice, and his passion supporting the human rights of all people. I think about pastors who I met in Liberia who are serving in local churches for $20 USD a month. I think about all the good people in Michigan can do when it costs $175 USD to send a child to school for a whole year. According to a 2018 economic survey, Liberia is the poorest country in the world, but those who have visited Liberia know that the lack of economic resources does not diminish the inspiring faith of Liberians. 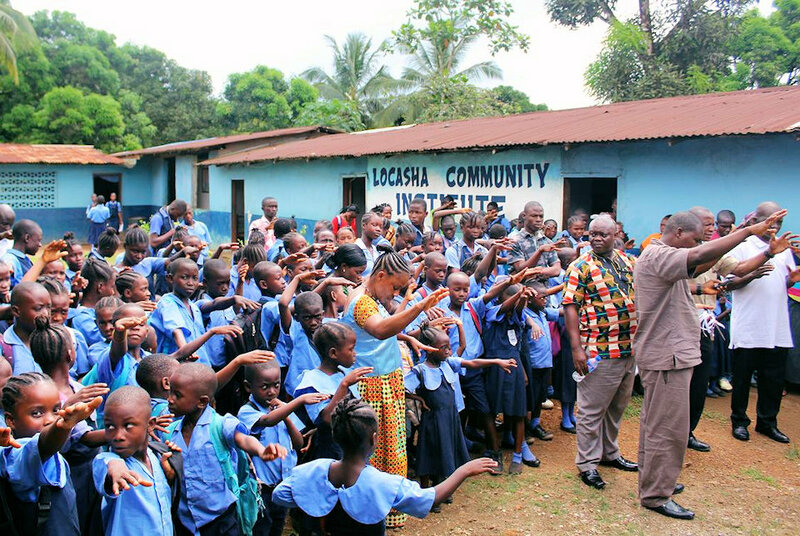 If you ask my why I am choosing to continue to support Liberia in a Covenant Partnership after GC2019, I would tell you about Orphans in the Judith Craig Children’s Village that need our support, and teachers who depend on scholarship students to get paid, and the 400 wells. I think Jesus would want Michigan United Methodists to be engaged in ministry with Liberia not only because of what we can do for them, but also for what Liberians can do to help us. Last week 14 delegates from churches across Michigan attended The Liberia Partner Summit in Cleveland, Ohio. Methodists from around the country met up with Methodists from Liberia. We prayed, sang, ate great Liberian food and learned from each other. It was the part of our connectional church we can all be proud of. 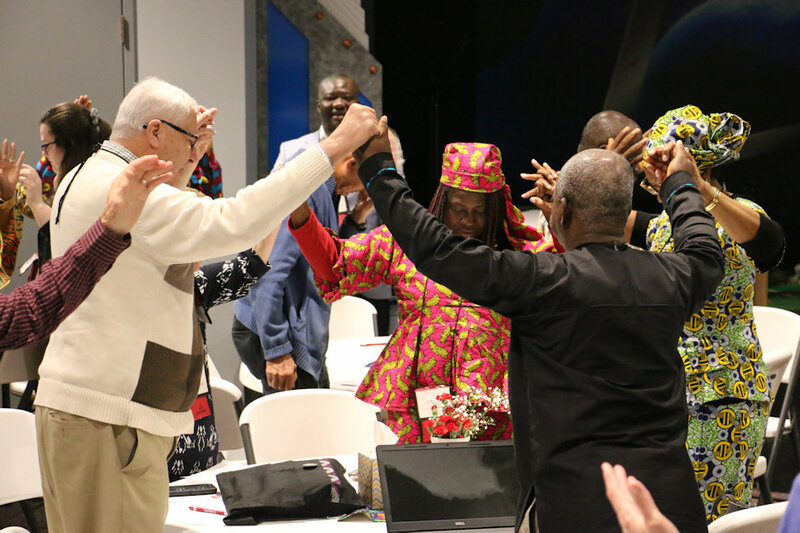 We learned from our partners in Liberia about their vision for education, health care, human rights, agriculture, evangelism, communications, accountability and ecumenical partnerships. These eight areas make up the Liberian Annual Conference’s strategic plan. I’m hoping that local churches across the state of Michigan can find ways to pray for and support Liberia. I know that knowing my friend Jefferson has certainly made my ministry stronger at Cass United Methodist Church in Detroit, and I know there are many people like him in Liberia who work tirelessly to share God’s love and grace. I hope that the state of Michigan will continue to be in a covenant partnership with Liberia because we all have so much to gain from our relationship.